Over the years there has been many changes with our economy. Before your goal was to work for the same company for many years while growing your retirement fund in hopes of retiring early. Today employees are no longer expected to retire from the company in which they started their career in and usually end up changing employers many times throughout their career path. Many are actually taking a path that consists of temporary and flexible jobs and live in what some may call a “gig economy”. A world which is characterized by the widespread presence of short-term contracts or freelance work that is performed by independent contractors, freelancers or consultants instead of permanent and long term jobs. Being a consultant, independent contractor or freelancer is not a new career but one that has became more widespread over the years. With the technology available today and the internet at your fingertips, there are endless jobs available that you can create for yourself across a variety of industries. Being an entrepreneur is now more popular than it ever has been. If you have the skills for something there are ways to find people that will pay you to use them. You can become your own consultant and get paid to do something you truly enjoy. To have things run smoothly with your clients you will always want to make sure to have some sort of consulting contract or an agreement in place even when you don’t think you will need one. #1 Describe What You Will Be Doing – Putting together a detailed contract for your clients will help you define the scope of your work and explain in detail what services you will provide and not provide for their business. You can also include a list of the provisions for non compliance or non performance of the contract for both parties as well. #2 Set Your Payment Terms – This is just as important as the reason above. 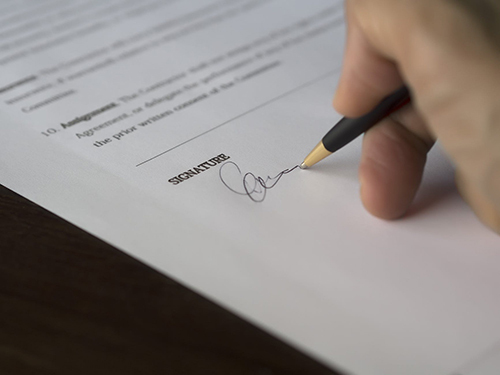 When creating your agreement with your clients be sure that you precisely document your exact payment terms that include the agreed payment schedule and rates. Don’t leave any details behind. #3 Define Your Business Relationship – This is another important part of your agreement with your client. Your contract should state the relationship between all parties of the agreement to avoid any confusion once the work begins. When you meet a new client it may be exciting and maybe a little overwhelming. You may want to impress them by helping them before you think out all the details first. Don’t do that! 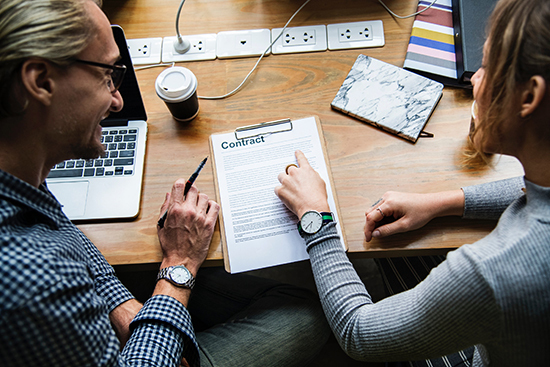 Putting together a contract before any work begins is important and can protect both parties, especially if one of the parties fails to comply with the terms. It is important to get everything in writing from the scope of the project, the expected timeframe to the rates that will be paid will help you create a baseline for your project.